The dual spin-mergers of Hewlett Packard Enterprise’s (HPE) Enterprise Services and software businesses in 2016 and 2017, respectively, have played a part in the company’s net loss last year. Hewlett-Packard Australia, as HPE’s local entity is known, posted a net after-tax loss of just under $44.8 million for the financial year ending October 2017, according to documents lodged with Australia’s corporate regulator on 3 May. The year prior, the company reported a net after-tax profit of $1.3 million. However, it appears that HPE Australia’s bottom line was somewhat tempered by the sale of its Enterprise Services business and its software business to the respective entities set up to complete spin-mergers with CSC and Micro Focus, respectively. HPE announced the US$8.5 billion merger of its Enterprise Services business with multinational solutions and services provider CSC in May 2016, with the deal creating a US$26 billion solutions provider and the third largest in the global market, and giving birth to the DXC Technology brand. The subsequent US$8.8 billion deal to spin-off and merger HPE’s software business with Micro Focus was announced in late 2016, with HPE retaining ownership of 50.1 per cent in the post-merged entity. On 1 December 2016, HPE disposed of the trade, assets and liabilities aligned to its global Enterprise Services business as part of a group-wide separation into two separately-traded companies. The Enterprise Services business’ financials were previously included in HPE’s respective financial reports. In December 2016, HPE Australia and its controlled entities sold the local trade, assets and liabilities of its Enterprise Services business to the companies established to complete the spin-merger with CSC, Ent. Services Australia and Enterprise Services New Zealand for $229.6 million, generating a loss of just under $8.3 million upon disposal. At the time of the transfer, the new companies were part of the HPE group and they continued to trade as part of that group until 31 March 2017, when HPE completed its separation. 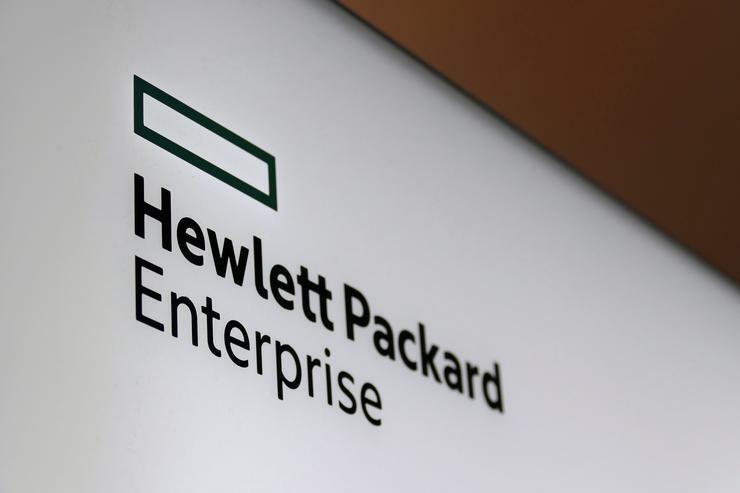 HPE’s local software business, meanwhile, was sold to Entco Australia and Entco Singapore, the entities established for the business unit’s spin-merger with Micro Focus, on 1 June 2016, for $23 million, generating a loss for HPE Australia upon disposal of $16.8 million. At the time of the transfer, the new companies were part of the HPE group, continuing to trade as part of that group until 31 August 2017, when HPE completed the separation. Altogether, HPE’s local operation incurred losses of over $31.3 million as a result of the two spin-mergers. Thanks largely to the spin-mergers, the company has subsequently reported total revenue of $980.2 million for the year ending October 2017, less than half of the $2.13 billion revenue it reported the year prior. Also likely due to the demerger of the Enterprise Services business, HPE also had lower costs for the year, with total expenses coming in at just over $1.02 billion, again less than half of the $2.13 billion in expenses it incurred the year prior. According to the operating cash flow breakdown for the year, HPE Australia pulled in $1.16 billion in receipts from customers, while paying out $1.20 billion to suppliers and employees. Including other outgoing and incoming finances, net cash flow from operating activities for the year was -$45.22 million. Unsurprisingly, given the spin merger of the Enterprise Services business, wages and salaries for the year dropped dramatically, to $199 million. The year prior, wages and salaries came in at $551.1 million. Termination benefits also dropped dramatically, coming to less than half of the previous year’s tally, at $36.7 million. HPE Australia reported a negative tax rate of -$13.1 million at the country’s standard 30 per cent tax rate, due largely to its net loss for the year, and an effective income tax rate of two per cent, equating to just under $1 million. The year prior, the company’s effective income tax rate was about four per cent, coming in at $59,000. The financial year ending October 2017 also saw HPE globally pick up a raft of new businesses, with the company closing its acquisition of Silicon Graphics International (SGI) in November 2016, wrapping up its acquisition of Simplivity in February 2017 and finalising its US$1 billion Nimble Storage acquisition in April last year. Locally, HPE Australia and its controlled entities entered into an asset sale and purchase agreement with SGI in November 2016 for a total consideration received of just over $1 million. On 1 September 2017, meanwhile, HPE Australia entered into a similar deal with Nimble – a global HPE company by then -- in which the storage vendor sold the business for a consideration of $14.2 million. In October last year, HPE Australia entered into an asset sale and purchase agreement with Simplivity which, globally, was an HPE company at the time, for a total consideration received of $4.1 million.